It's already 3rd January 2017 and I still haven't listed out my 101 things to do in 2017. Dah bazir 3 hari.... Aih. Well, last year I managed to complete 38 things. A HUGE ACHIEVEMENT, okay, considering the fact that in 2015 I only managed 16. But I've decided for this year I'm going to target less on materials; buying GoPro and Macbook, among the 63 things I didn't get to complete in 2016 so bye bye to that. I also read in Dr. Halina's blog about goals and how to achieve those goals. It is true what she mentioned. We got to have a plan to work for it. Like me, last year I planned on buying loads of things but I forgot the fact that last year I'm pregnant and I'll be giving birth around August (ended up I gave birth earlier) which means that I couldn't work as hard as before to gain more money to buy stuffs. I decided this year I'm going to be more realistic. Like, hello hello hello... You have little miss Sofia now. Oh by the way, I did put getting something from FashionValet as one of the 101 things to do (didn't manage to get that in the 38 things completed list, though). I planned on getting the 2017 planner, yeah RM150 is quite reasonable considering the fact that it is refillable. Oh but then as usual... All sold out in just 20 minutes. Still determined to get it, I asked Iz to get it for me at Cziplee Bangsar (by the way how do you pronounce this? Cipli or Sizipli? I had a debate on this with Iz as since childhood days I pronounce it as Cipli. There's one Cziplee in Kajang) but then the hassle of going to Bangsar just for a planner... Err... I don't think so. So, I just forget about it and bugged Iz about the Prudential planner. Because he got me an insurance from Prudential and last year they gave me a red one. 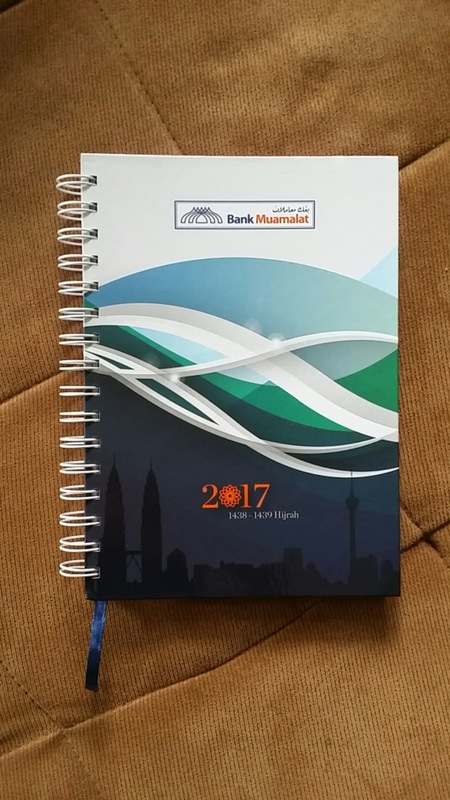 Iz came home one day and gave me a Bank Muamalat planner and calendar. He said the Prudential one might not come. Okay lah tu. Asal ada. So yeah, my new tool for the new year; Bank Muamalat planner and calendar that I got for free. But for next year, I'm eyeing a planner from @bukumasa. Found out about it from Sophie the blogger aka long time lifeguard friend when she posted about it on her Instagram. Read more on her post oh yeah sold out sudah! Visited their Instagram account, check out the cool features they have in the planner, and found out that it is only RM28! They will be opening orders for 2018 in July. I just hope I remembered to order it. Anyway, Sophie said she'll remind me when they do so let's just hope I get to secure myself one. Well, my planner is still clean and clear. Belum bertulis apa pun lagi. And now is the 3rd day of new year pun. 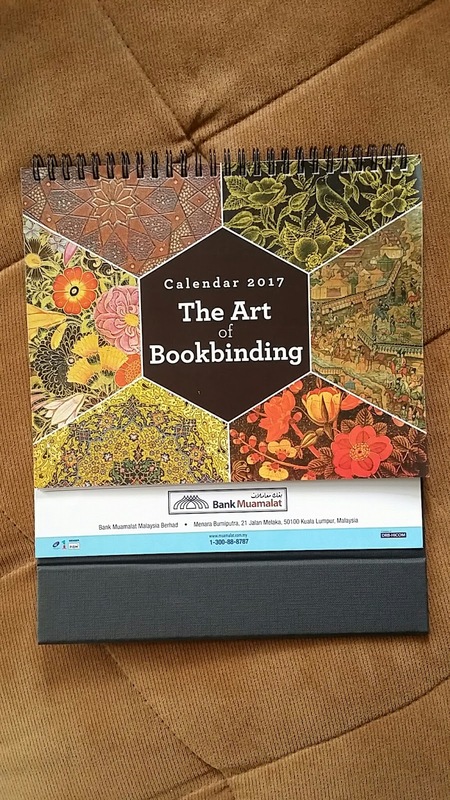 Oh well, at least I already posted one entry on the blog for 2017.
baca post you ni buat i teringin ada planner. mesti lagi organized kan. To-Do-List i selalu tulis sepah sepah je. I stick kat fridge la, board dalam bilik lah. and yeah I ada baca kat IG Viviyusof yang planner tu sold out . 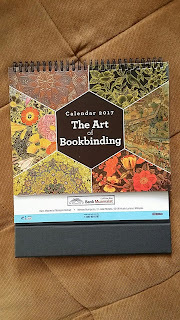 >,< tapi i taktahu macam mana rupa planner tu. cantik ke ? Lupa nak makan tu pun bash pernah juga.. hahah. Tau-tau je dah sakit perut masuk angin... Bash pun curi-curi masa list out. Tak kisahla bertambah satu sehari pun takpelah.. Nak buat macamana. Haah better ada planner, mommy cici... Kadang stick kt fridge tercabut la apa lah..
Cantikla bagi i.. hahah. Ada banyak warna. Dia simple je tak ada pattern apa pun, jadi nampak classy la camtu.